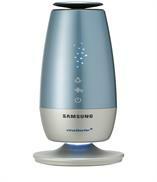 Samsung AIR PURIFIER is designed to represent the attribute of nature. It enables you feel comfort and relax with simple design. Plus, dynamic finishing increases double for satisfaction while staying at your place Enjoy LED hidden display and touch button as well. Whether you’re driving to work or taking a road trip, you can keep the air inside your car free of odors, airborne viruses and sneeze-inducing allergens. The Virus Doctor for Car is a sleekly designed portable air purifier that fits in a cup holder. 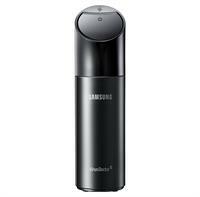 Samsung’s innovative S-Plasma Ion technology destroys airborne antigens, while the maintenance-free air purifying system deodorizes the air. So even if you keep your windows rolled up, you enjoy cleaner, fresher air. 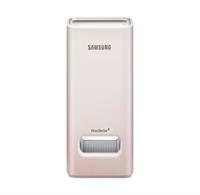 The Trimless Design of Samsung TGV10 refrigerator offers refined elegance and long-lasting beauty. Its clean, neat and simple appearance brings completely polished look in to your contemporary kitchen. The SPi technology helps develop clean indoor air quality by eliminating biological contaminants and by neutralising the OH-radicals. The unique environment-friendly technology of SPi surpasses that of previous air purifiers. While purifiers simply filter the inducted air, SPi emits active hydrogen and oxygen ions into the air inhibiting infection by airborne viruses and destroying airborne bacteria, fungi and allergens for a much cleaner, healthier environment.